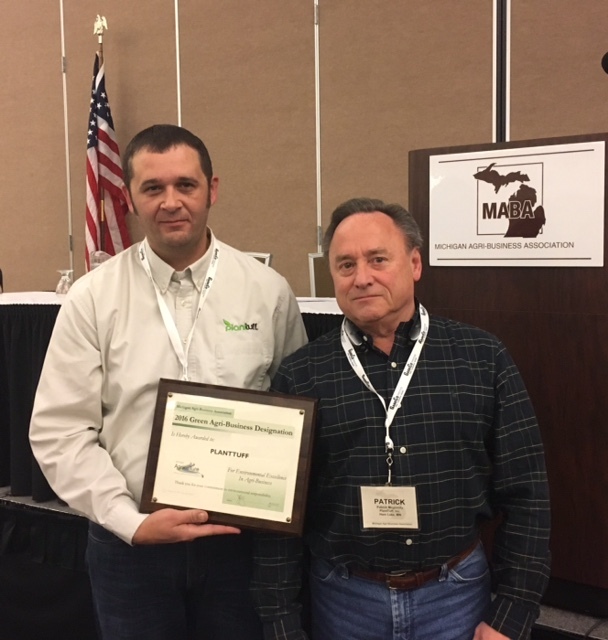 Plant Tuff, Inc. received the 2016 Green Agri-Business Designation from the Michigan Agri-Business Association. This program recognizes proactive sustainability efforts in Michigan agriculture. Plant Tuff’s application included its conservation, energy efficiency, transportation, and recycling measures. The program’s criteria are specifically design to help Michigan agriculture protect water quality and reduce environmental impact. Environmental stewardship is a core value of Plant Tuff and for the Levy Group of Companies. Providing green solutions for our clients and for the communities in which we live and work is another way we provide smarter, safer, and better products and solutions.